Some of you may ask…Why should we worry about cavities in baby teeth when these teeth will be replaced by permanent ones later? The answer is that baby teeth serve important functions and neglecting these teeth can cause severe problems. Consequently, it is important to make sure that even these "temporary" baby teeth remain healthy and cavity free. Healthy baby teeth are crucial in helping your child learn how to speak properly. Baby teeth hold space for permanent teeth. These “spacers” maintain the proper spacing and alignment so that permanent teeth have enough room to come in. If these permanent teeth develop in a mouth that is unhealthy, they are likely to become decayed as well. There are numerous studies that directly link the decay or “number of cavities” a child may have to other health problems. Taking care of your baby teeth is just as important as proper nutrition and feeding. Healthy, nice looking teeth are important in building self-confidence and self-esteem. This is especially important at such an early age. It is important to remember that proper care of baby teeth is not only important now, but for the future as well. Early dental care gets a child accustomed to a clean cavity free mouth, while poor dental care can easily lead to childhood gum disease. 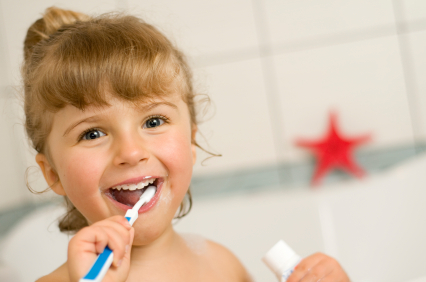 When it comes down to it, it is never too early to start paying attention to oral health care.